Waterfront Lot #40 with a 46&apos; boat slip (boat slip #40), facing East. We are a Creole Gated high end community. You can have pets and walk them without being concerned. And, you can fish; skii, kayak and boat. SSB&apos;s Yacht Club is the best in Baldwin County near the beach. We have a fully equipped kitchen w/ large Screen TV for watching those games & a fireplace for those chilly evenings. The fitness center is a state of the art that over looks the 88 boat marina and the Intra Coastal Waterway. We love pets so bring your pet and build your dream home with your own builder, who will need to be approved by the ARC. Mim sq. ft. to buildis 1900&apos;. Directions: North Or South On Hwy 59 In Gulf Shores, Turn Onto Cr 4 West. Right Onto Waterway Blvd. ; Go To Stop Sign, Take A Left Onto Cr6. Cross Over Oyster Bay Bridge. 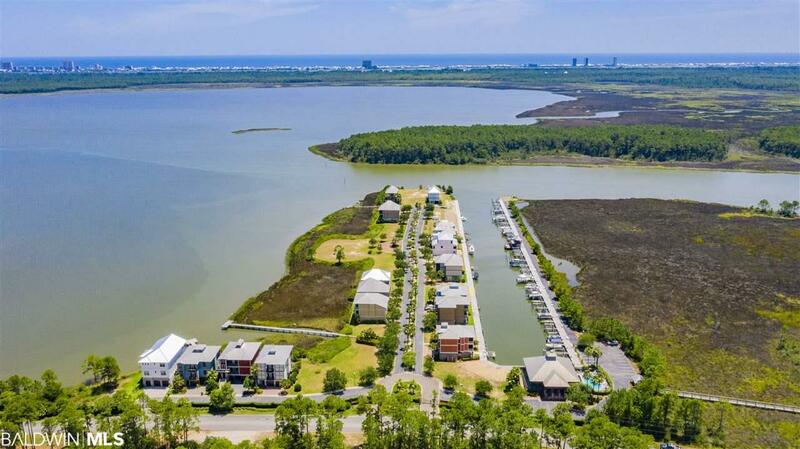 Directly On Your Left Is Sunset Bay At Bon Secour. Call Shirlee @ 251-942- All Measurements Deemed Reliable, But Not Guaranteed. Buyer To Provide Own Survey.